Brittany is pop culture enthusiast! She loves writing about celebrities, TV shows, films, music, and more! 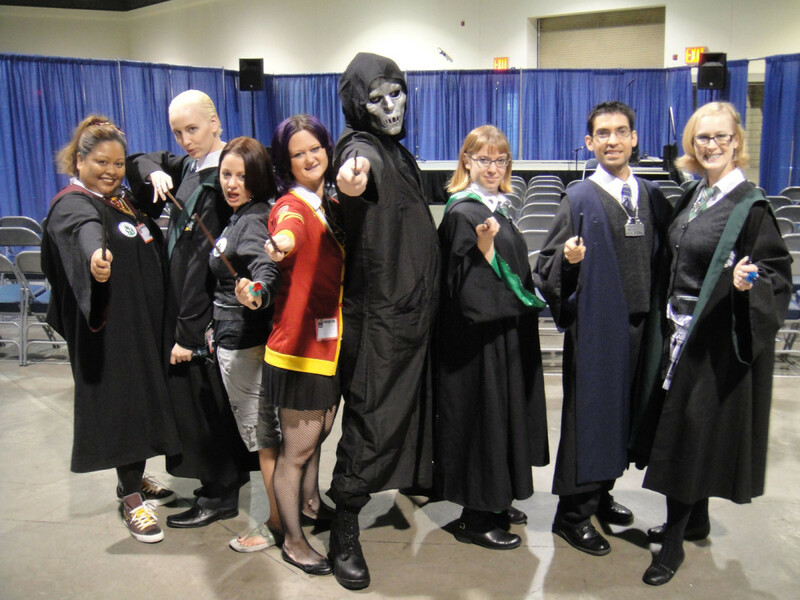 Though the Harry Potter films have ended, the fandom is still going on strong and plenty of people will probably be dressing up as a Hogwarts student for Halloween this year. 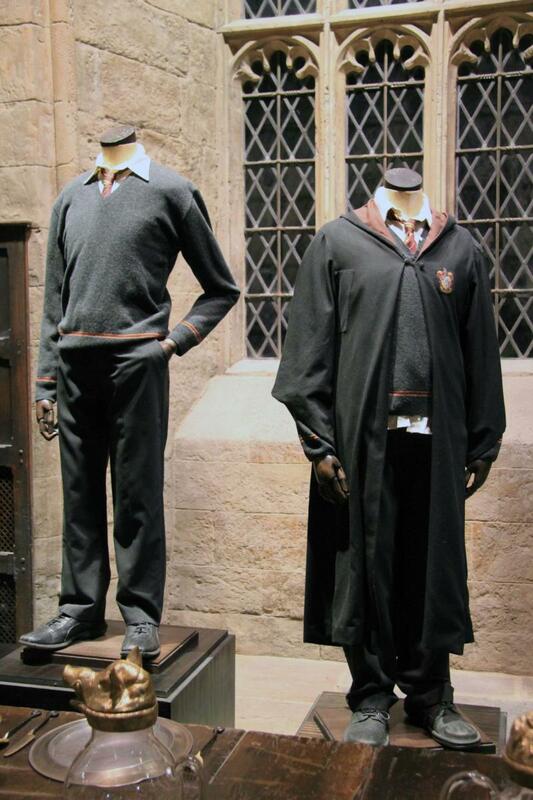 Luckily, a Hogwarts student uniform is extremely easy to make and you can pretty much do-it-yourself with clothes you already have in your closet! Even if you're missing some of the items, you can easily find a lot of the stuff at thrift stores. 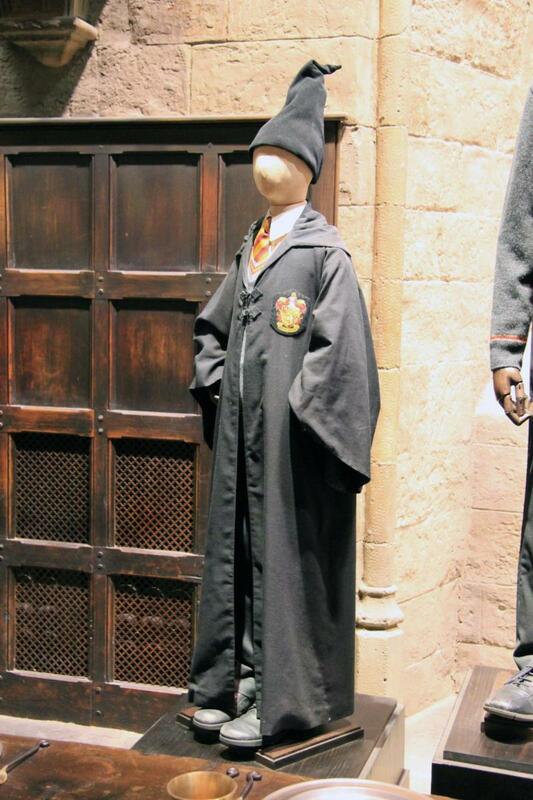 You can easily make a Hogwarts uniform for under $10, in fact! 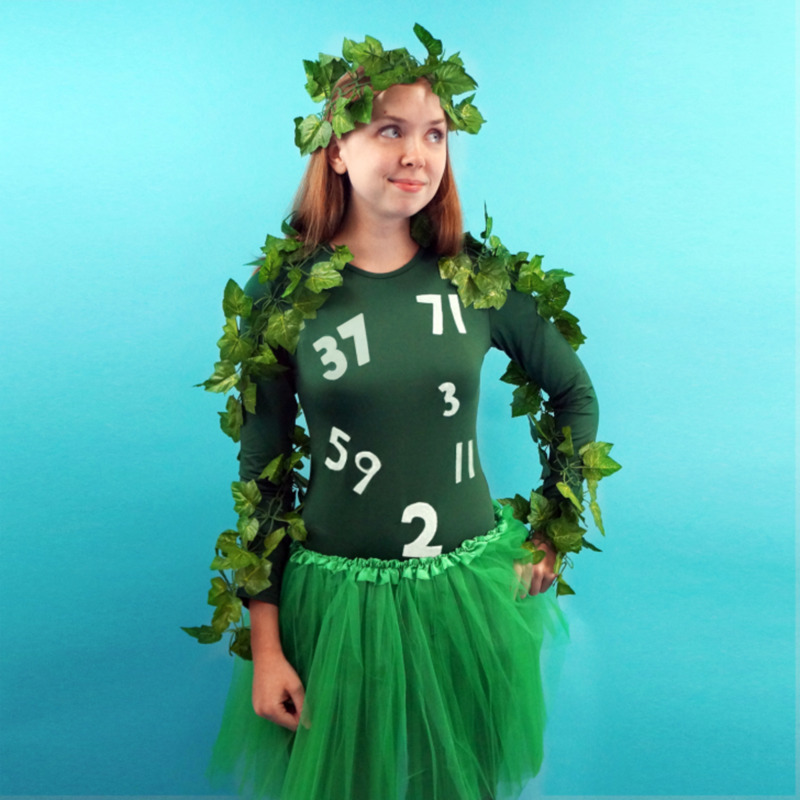 Here's what you need to be a Gryffindor, Ravenclaw, Slytherin or Hufflepuff this Halloween! 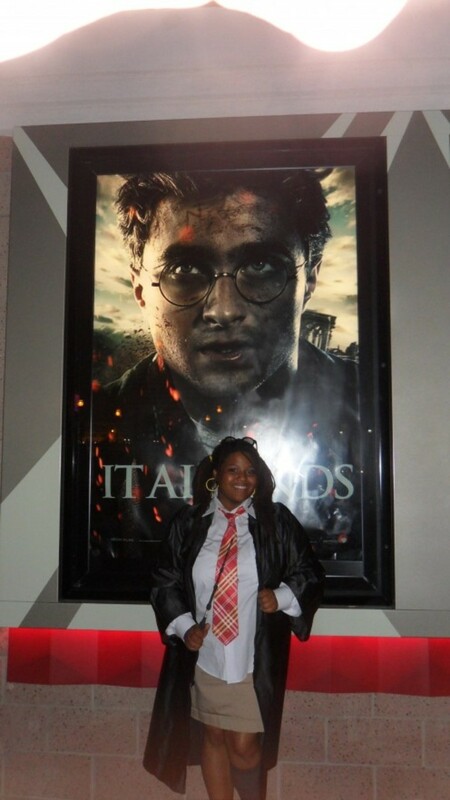 This was my DIY Hogwarts Student costume that I wore to the midnight premiere of Deathly Hallows Part 2. 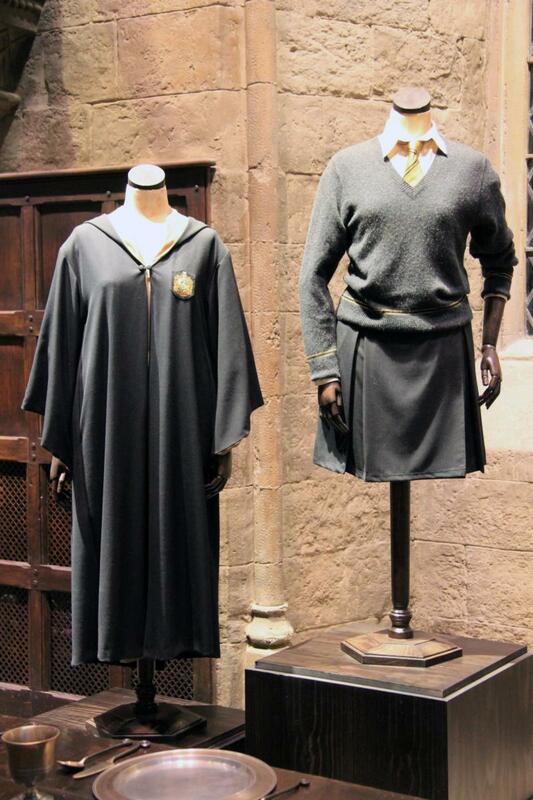 Graduation Robes. Black is best, but most any colour will do. 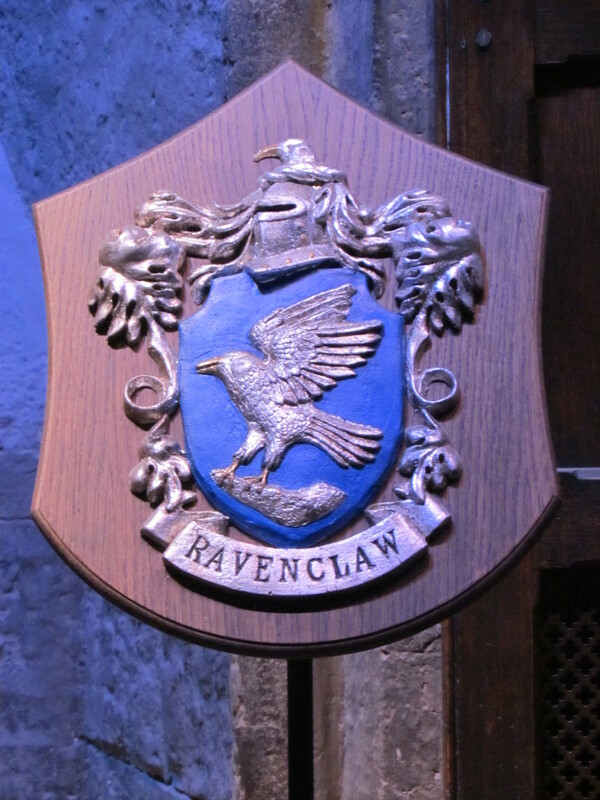 If you want to stick to Hogwarts' house colours, go for blue and bronze (or grey, as used in the films) (Ravenclaw), green or silver (Slytherin), red/scarlet or gold (Gryffindor), and yellow and black (Hufflepuff). Truthfully, though, you can make just about any colour work! Only have purple graduation robes? 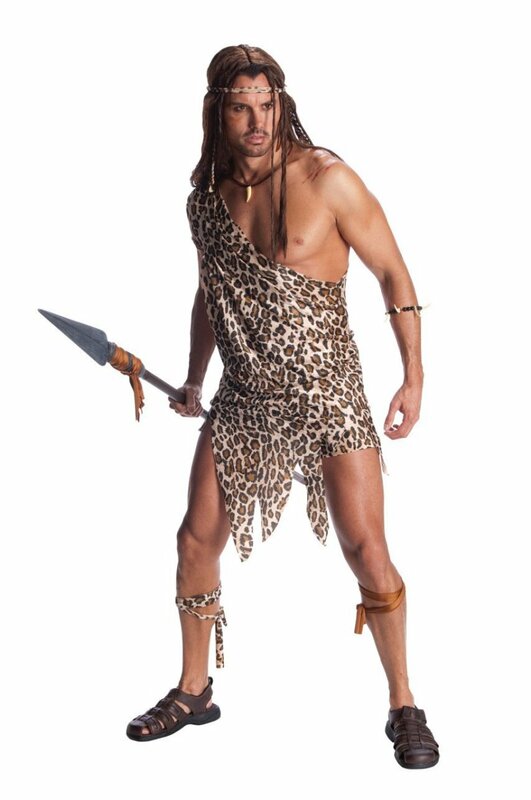 You can go as a teacher or some other character! A striped tie or scarf. Again, you ideally want colours which compliment the house you're in. If you can't find a striped tie with the colours you need, you can always go with one colour which matches your house. See below for a tutorial on making your own "Hogwarts house tie." A knee-length skirt. You can go for navy, black, grey, or even khaki, as I did. Pleated skirts look most authentic. Even tartan can go with the Hogwarts student uniform costume. Knee-high socks. Go for white, black, or grey. Plain black shoes. Remember those old work/school shoes you had to wear as part of your uniform? Dust them off, polish them up, and wear them with your uniform. Mary Janes or black heels can also work. A wand! If you have your own, already (and every true Harry Potter fan probably does! ), then perfect. 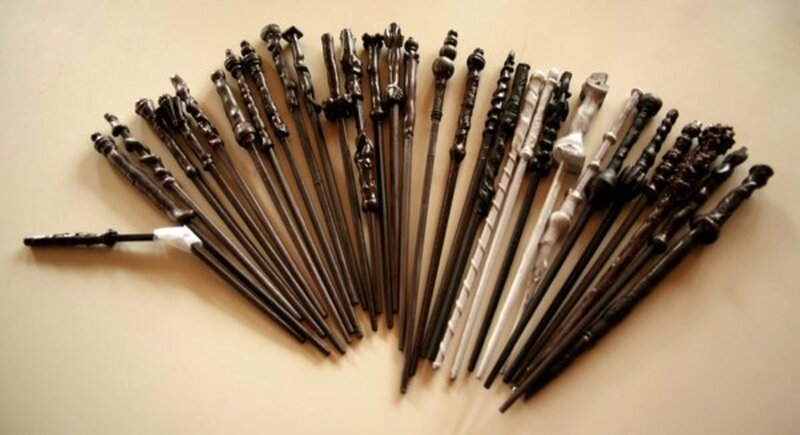 If not, see below for a DIY wand-making tutorial! Carry around school books to seem more like a student. Bonus points if you own the Harry Potter school books (Fantastic Beasts and Where To Find Them, Quidditch Through The Ages, even The Tales of Beedle the Bard would work) and can carry them with you. Add a satchel for your purse/school book bag. Plain black, grey, or khaki works best. If you don't have a graduation robe, you can also use a blue, black, or grey V-neck sweater, or even a black or grey blazer. 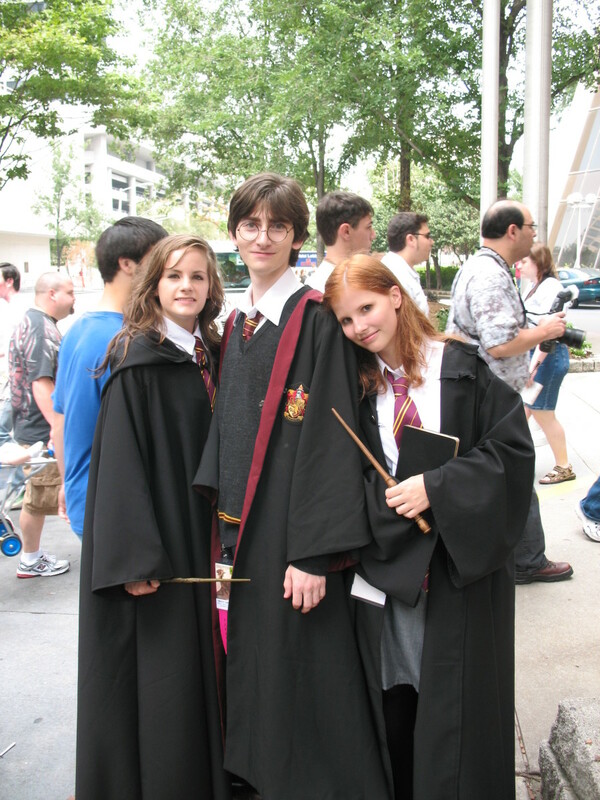 Add cute accessories like earrings and necklaces that go with the theme of Harry Potter. Owl necklaces or earrings would go perfectly with your Hogwarts school uniform costume! Speaking of owls, if you have any stuffed animals of owls, cats, frogs, or rats, they could be a good "pet" to carry around with you! See below for a tutorial on hair and make-up. Dress pants. Black is best, though navy would also work. Add a satchel for your school book bag. 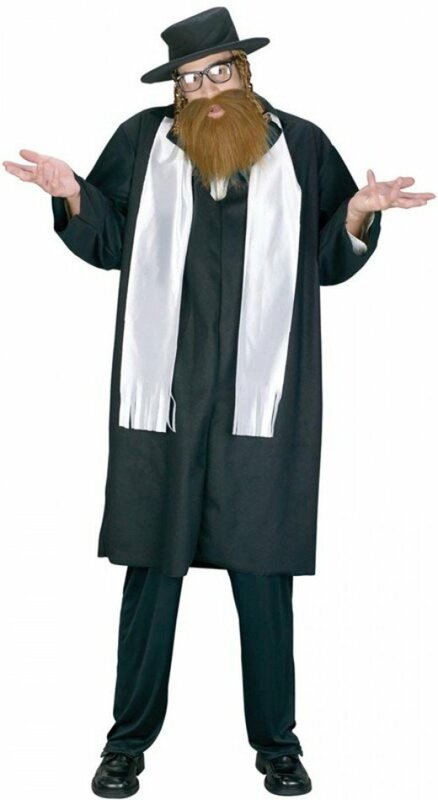 If you don't have a graduation robe, you can also use a black or grey blazer or even a blue, black, or grey V-neck sweater. If you want to go as Harry, don't forget the round spectacles! If you've gone to the 3D Harry Potter movies and kept your glasses, simply punch out the 3D film, and ta da- you've got Harry Potter glasses! 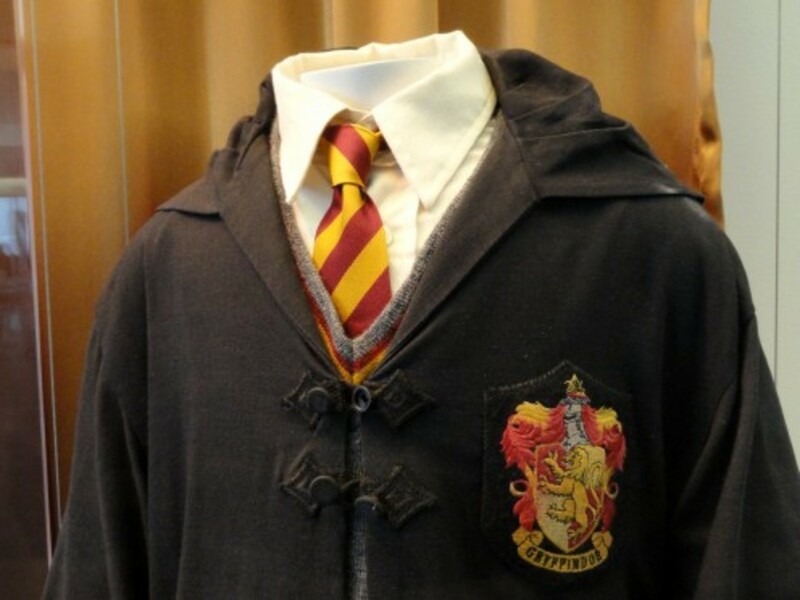 If you have the time, learn how to make an authentic-looking Hogwarts tie! 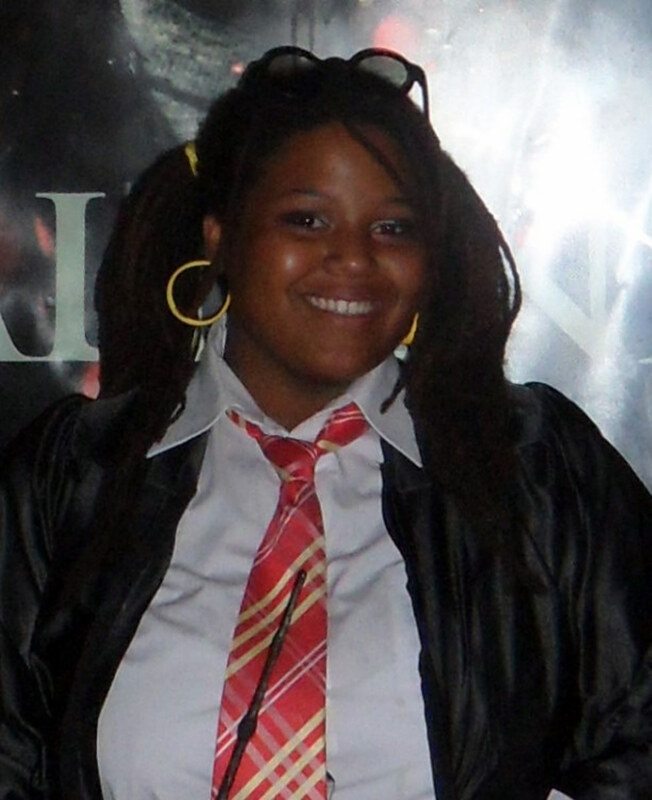 The cool thing about being a Hogwarts student for Halloween is that hair and makeup is pretty much up to you! Because the students at Hogwarts all have unique hair and makeup, so can you! Women can try pigtails, a ponytail, or can just wear their hair down. 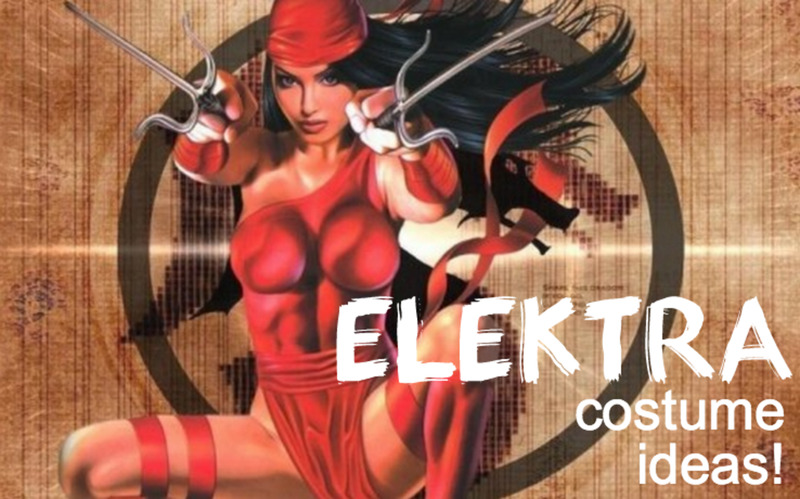 If you're looking to emulate a specific character (i.e. Hermione), try loose curls. You can also play with wigs and temporary hair dye (go blonde for Luna, red hair for Ginny) if you have the time and money. Men can do pretty much whatever they want to their hair; though if you are going for an "authentic" Hogwarts look, I didn't see many of the students wearing any hair gel ;) Try a natural/long-haired look for the boys. 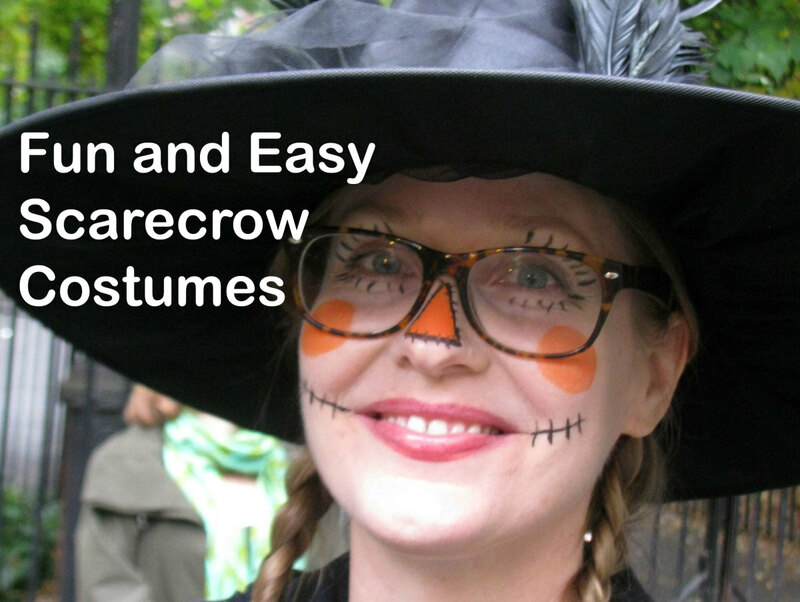 Again, makeup is pretty easy for a Hogwarts student costume- you're dressing up as a normal person and so you don't need any "special" makeup to complete the look. Men won't need anything done, but women can choose to add some natural makeup if they please. I wore eye shadow which complimented my house- gold and dark grey for Hufflepuff. Feel free to play around with the House colours (yellow, black, green, silver, scarlet, gold, or blue) when doing eye makeup. Just keep in mind that no one at Hogwarts seemed to wear a bunch of makeup, so keep your look natural and "age appropriate" (as you're essentially dressing up as a 11-17 year old). Here's a close-up on my makeup. You can see the mostly natural look I went for, with gold/grey eyeshadow. Stick the beads onto the glue- it looks nice to put some on the top of the chopstick, and around it as well. When the glue has cooled down, roll the chopstick in your hand to shape it. If you have any runny strands of hot glue, twirl them around your chopstick for more design/texture. Once your chopstick cools down, you're ready to paint it! Use the acrylic paint to cover the glue, chopsticks, and paint over all the beads. Voila! You're done! 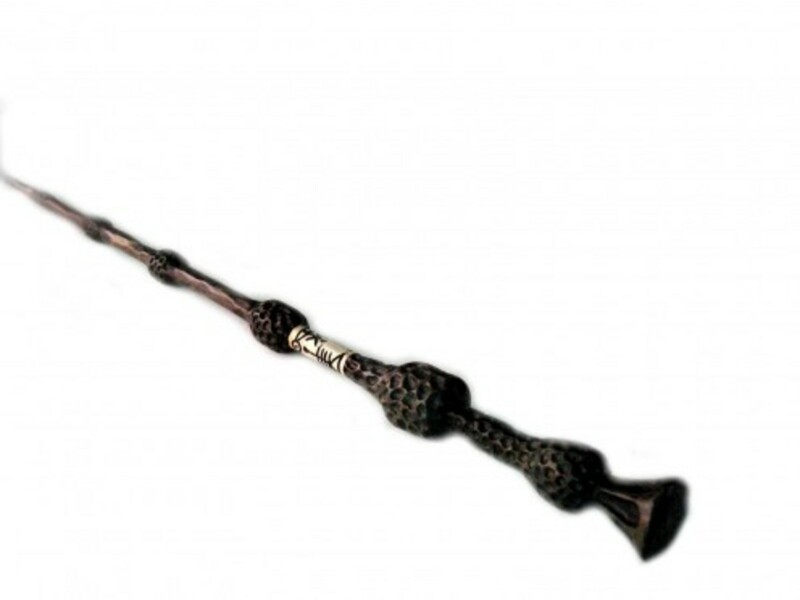 Keep playing around until you make a perfect wand! 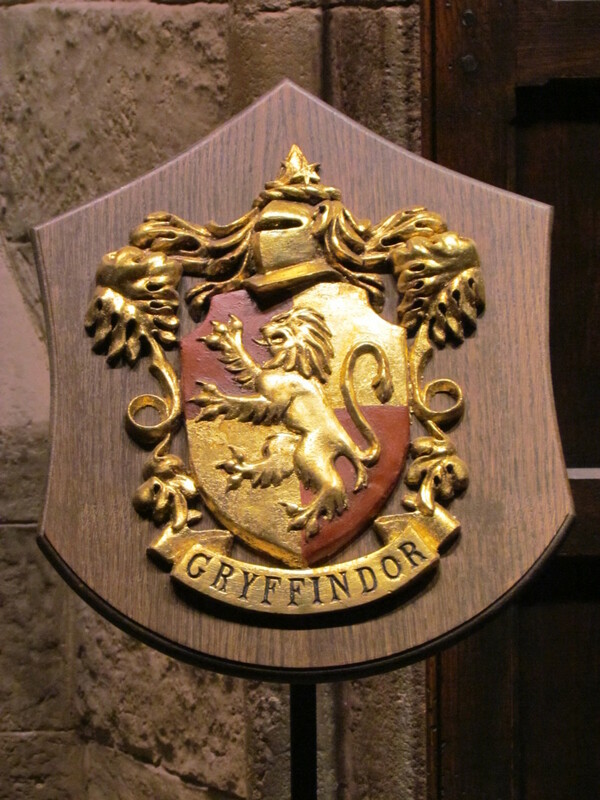 Which Hogwarts House Will You Represent This Halloween? 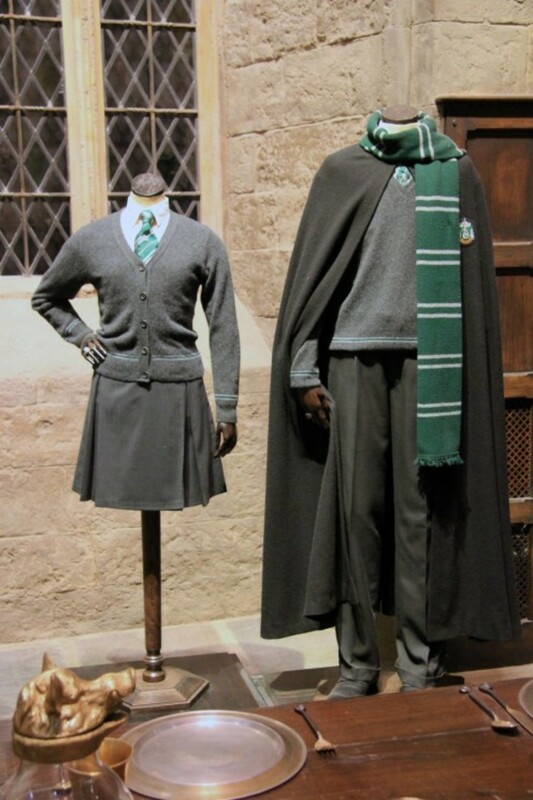 Again, it's the little details that really make your Hogwarts school uniform costume look like the real deal! 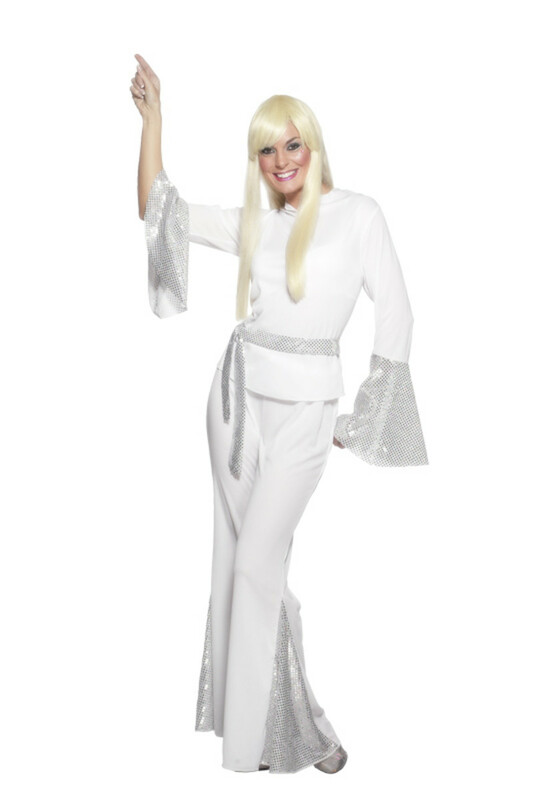 Don't forget to add the finishing touches which will pull your costume together and make it complete! Match your colours up! 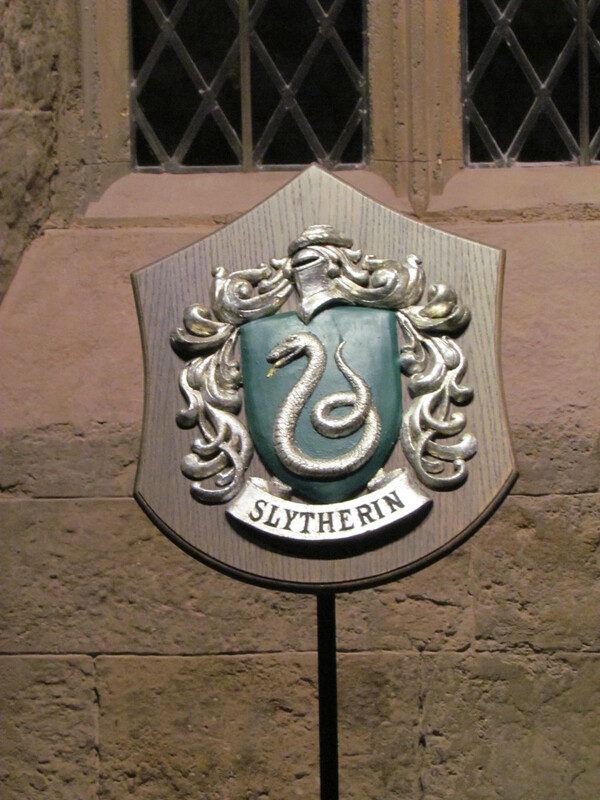 Don't wear a green tie (Slytherin) with red makeup (Gryffindor). Pick one colour scheme/house and stick with those colours throughout. Don't be afraid to add fun bits and pieces, like the stuffed animals or school books. 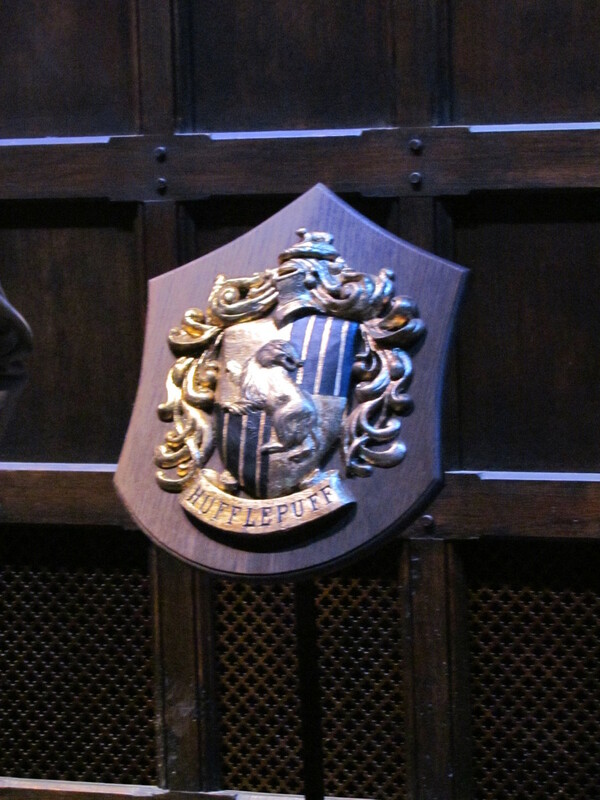 If you really want to make your graduation gown look more like Hogwarts robes, you can print out an image of the Hogwarts crest (or even your individual house's crest) and pin it to the front of your robe! If you really want to go all out, you can search on eBay or Amazon for iron-on patches of the Hogwarts/House coat of arms! I saw some on eBay for less than $5! Girls can paint their nails with their house colours for a bit of fun. 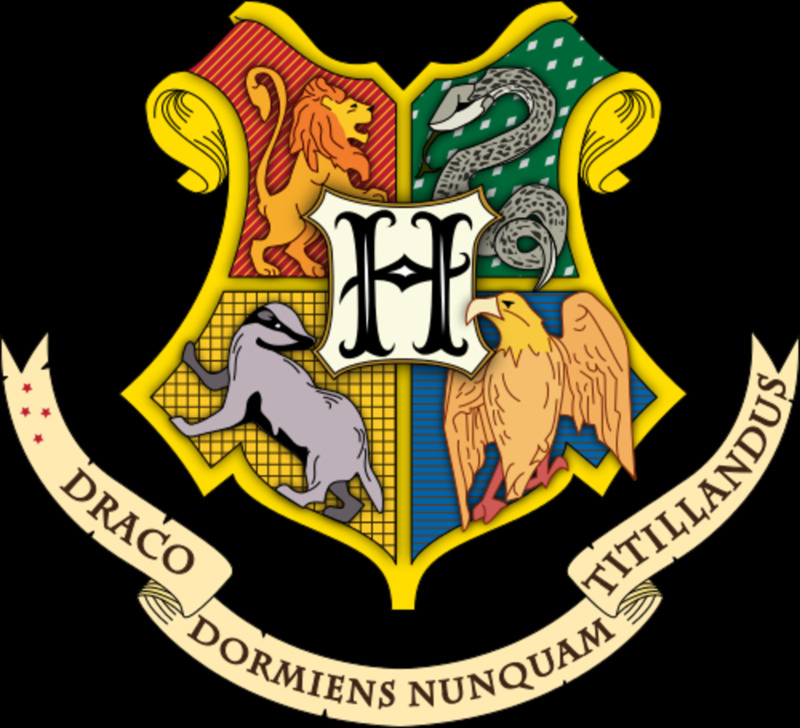 Try going out with a big group where each of you represents a different Hogwarts house! I am a girl. 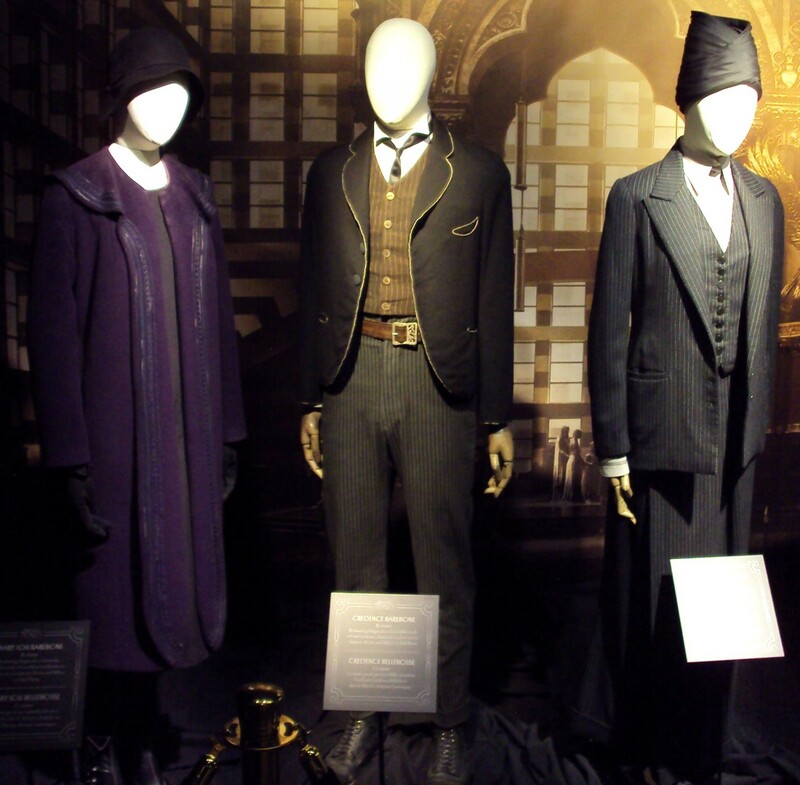 how can I dress up as Harry Potter? 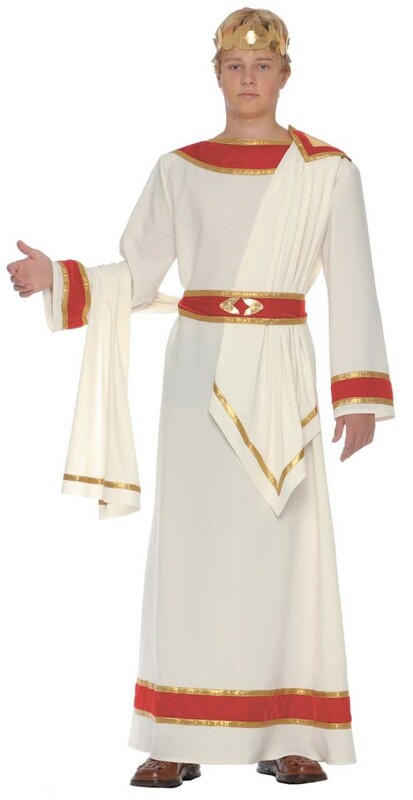 I'd recommend following the above instructions for your robe, purchasing a pair of round glasses, and draw on a lightning bolt scar.